3.1A Output Super Charger for iPad. Dual USB Car Charger, professional dual USB charger for iPad. 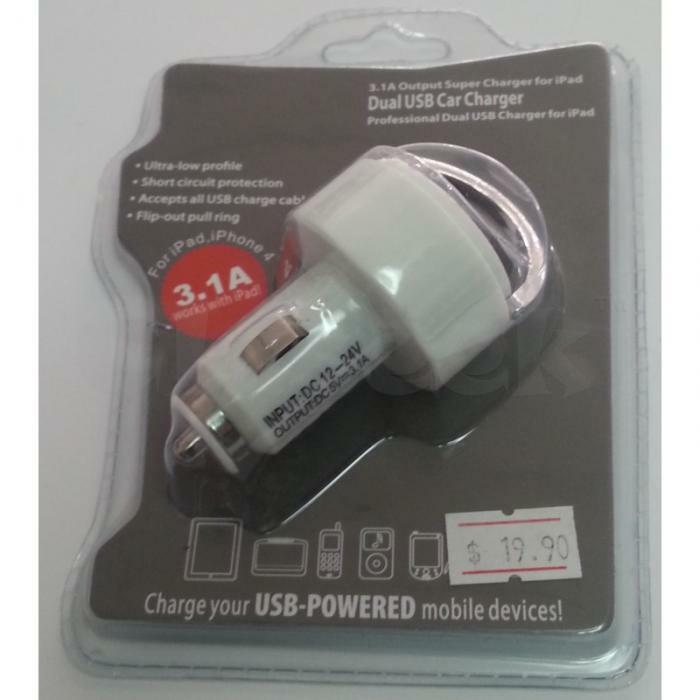 Convert your car's 12V automotive power socket into a 5V USB power port with this mini car charger. It can charge your GPS device, your bluetooth headset or your MP3 player. Any device that requires 5V USB power. Designed to fit with your dashboard. The charger can be easily removed using a flip-out pulling ring.